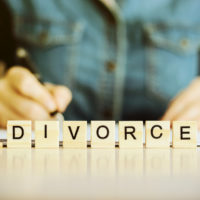 In an opinion recently issued by the New Jersey Appellate Division, the judges reminded litigants that, if a term of your divorce isn’t included in your marital settlement agreement (MSA), it’s highly unlikely that the court will enforce it. The court considered this issue in a case titled Mercado v. Mercado. The couple before the court had divorced in 2015, after having one daughter. The couple’s MSA stipulated that the parents would share their daughter’s college costs equally. At the time of the divorce, the couple knew that the daughter would be attending a public college in Arizona. The father claimed that the couple had agreed orally that the daughter would become a resident of Arizona by the time of her sophomore year at the school, but this agreement was not included in the couple’s MSA. Around the beginning of the daughter’s sophomore year in college, the father sought a court order that would free him from taking out any additional student loans on his daughter’s behalf. He claimed that his agreement in the MSA to share the costs of his daughter’s education was premised on her becoming an Arizona resident. Since that hadn’t happened, he argued that he shouldn’t be obligated to continue paying her college costs. The trial court disagreed, and the husband appealed this decision. The Appellate Division agreed and denied the husband’s request. In its opinion, the Appellate Division noted that courts will not disturb mutually agreed-upon and valid MSAs unless absolutely necessary. Here, there was no sign that the MSA was invalid or unfair. The court also pointed out that the agreement appeared to be totally unambiguous, clearly stating that the parents would be sharing the costs of their daughter’s tuition with no further conditions on whether or not she was a resident. The Appellate Division was not shy about pointing out that, if the written agreement was truly premised on the daughter’s Arizona residency, there was no reason that fact shouldn’t have been memorialized in the MSA: “As written, the MSA does not include any language requiring the daughter to become an Arizona resident. Defendant, who was represented by counsel in the drafting of the MSA, bore the risk of that omission.” In other words, you should’ve put it in writing, Dad. If you’re considering filing for divorce in New Jersey and want detail-oriented, skilled, and effective legal representation, contact the Union offices of family lawyer John B. D’Alessandro at 908-964-0102.